These are extracts from an ESA article. In 1954 British science-fiction writer, Arthur C. Clarke wrote to Wexler promoting satellite ideas. In 1960 after years of work and lobbying the first weather satellite was launched. Wexler was a man of vision, ready to face danger and to give his all to collecting useful data. He was the first scientist to deliberately fly into a hurricane and also participated in polar expeditions. His was the mind behind the very first meteorology satellite and even before it reached orbit, he was already dreaming of a global network of satellites to watch the weather worldwide. [He] gained a PhD in meteorology from the Massachusetts Institute of Technology in 1939. For a few years the USA was spared from the Second World War but, after Pearl Harbour, the US Weather Bureau began to be immersed in the global confrontation. In 1942, Harry Wexler was sent to the weather service of the US Army Air Corps, the predecessor of the US Air Force. On 14 September 1944, Major Harry Wexler made history by being the first scientist to deliberately fly into a hurricane to collect scientific data. On board a Douglas A-20 Havoc bomber, he and Col. Lloyd Woods and Lt. Frank Record plunged into a huge hurricane originating in the Bahamas and headed towards New England. Bucking winds of up to 200 km/h they successfully reached the eye of the storm off Chesapeake Bay and then flew back to Washington. Interviewed by Time magazine on their return, the daring trio claimed their ride was ‘not as bad as flying through a summer thunderstorm’. Wexler brought back major findings: besides its horizontal circular motion, a hurricane has strong upward air currents at its vortex and down currents at its perimeter. When the bomber reached the eye, it was literally ‘sucked up’ by the vortex. According to the pilots, ‘it was like going up in an elevator’. In 1954 […] Wexler received a letter from the famous British science-fiction writer, Arthur C. Clarke. In 1945, Clarke promoted the idea of the geostationary orbit, which he envisioned being used for long-distance communication. Clarke also promoted the use of satellites for meteorological applications and the correspondence between the two led to the birth of a new branch of meteorology and the inception of the US weather satellite programme, where Wexler became the driving force behind the use of rockets and satellites for meteorological research and operations. In March 1955, the US Air Force commenced studying concepts for future spy satellites. Among these was a project promoted by RCA to use a video camera to beam down pictures as unlike film-based cameras, it would not require sending back film in recoverable capsules. However, the US Air Force deemed the camera’s resolution too low to meet its requirements. 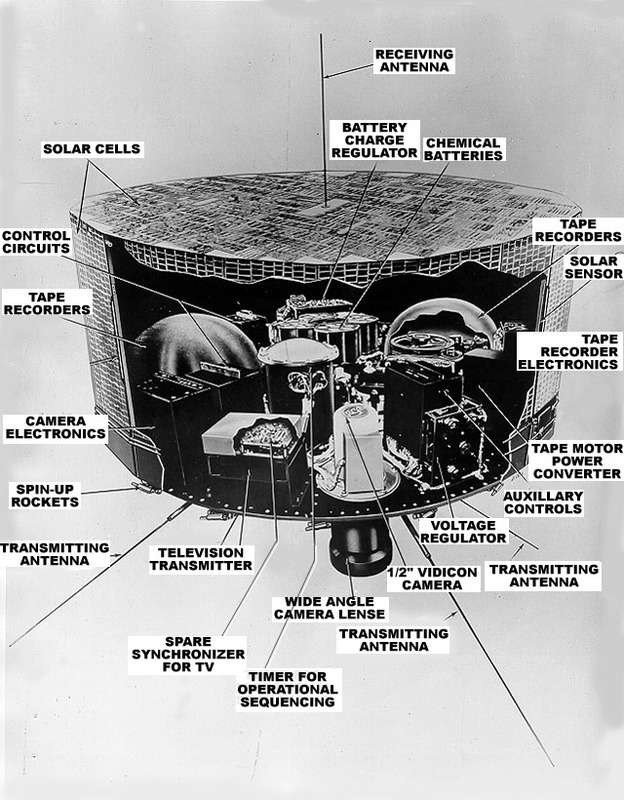 Nevertheless, in August 1957, the Defense Advanced Research Programme Agency (DARPA), which managed new technologies for the US Department of Defence, initiated the development of a project with a new mission: ‘weather watch’, based on inputs coming from Wexler’s division at the Weather Bureau. Despite the deep secrecy surrounding DARPA’s activities, the Weather Service was involved thanks to its strong traditional relationship with the military forces since its formation as a division of the US Army Signal Service back in 1870. In April 1959, NASA took over from DARPA the new satellite programme christened Television and InfraRed Observation Satellite (TIROS) and the Weather Service was given the job of analysing the data. The first satellite, Tiros 1, was launched into low Earth orbit on 1 April to become the world’s first meteorological satellite. During its 77-day lifetime it returned 22 952 pictures. Despite its low resolution, the video camera showed clearly that Earth’s cloud cover was organised through patterns on a global scale, corresponding to major weather systems. Tiros 2 followed in November, too late for the 1960 hurricane season but ready for operation when the 1961 season began. From now on, tropical storms would no longer strike by surprise. However, July 27th, 1943 was the first deliberate flight into a hurricane by Colonel Joe Duckworth. Thanks for the historical review. Electric cars: will any auto company make money?